For this project, a total of about 150 support systems were delivered. The system consisted of Mekano® Channel 100-2-T2, plus a custom solution developed by the consultation firm EVT Umeå AB. NCC is the contractor for this project called R300 and they decided to use Oglaend System’s support solutions in the entry tunnel and in other tunnels to support all disciplines. The Käppala wastewater treatment plant outside of Stockholm is in the process of constructing a new sludge-digestion compartment to deal with an increasing amount of wastewater. At the same time, a new facility for high-flow wastewater is constructed to keep up with future treatment requirements. The plant already receives wastewater from eleven municipalities in Storstockholm, which equates to about half a million people. At the start of the project, a welded solution had been specified for all the support systems. 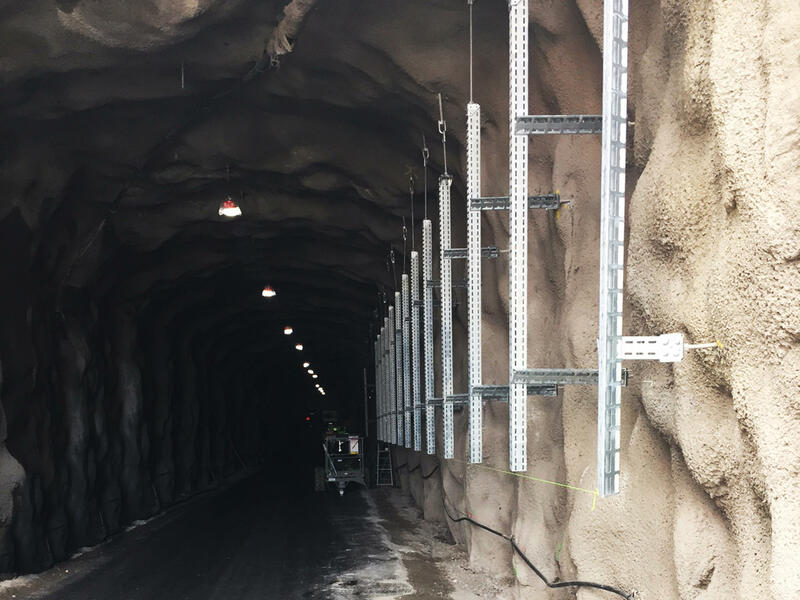 However, after Ögländ System AB showed how our products were more cost efficient, quicker and easier to install, they decided to use Oglaend System’s products in the tunnels where a welded solution had not already been ordered. We used Ögländ System AB’s solutions in an earlier project, and when I came to this project there was another solution that had been specified, but it was difficult to install. There are many requirements to consider with water treatment plants, which is why we chose Oglaend System's bolted solution over a welded solution. We have finished installing the support systems and are very pleased with them. After construction is completed, the new sludge digestion compartment will work to relieve the two existing compartments. Climate friendly biogas that can supply 100 gas fuelled busses is extracted here. While the high-flow facility will handle situations when the amount of wastewater breaches the Käppala plant’s capacity. This is an important environmental measure that enables faster and more thorough treatment of the water that is discharged.